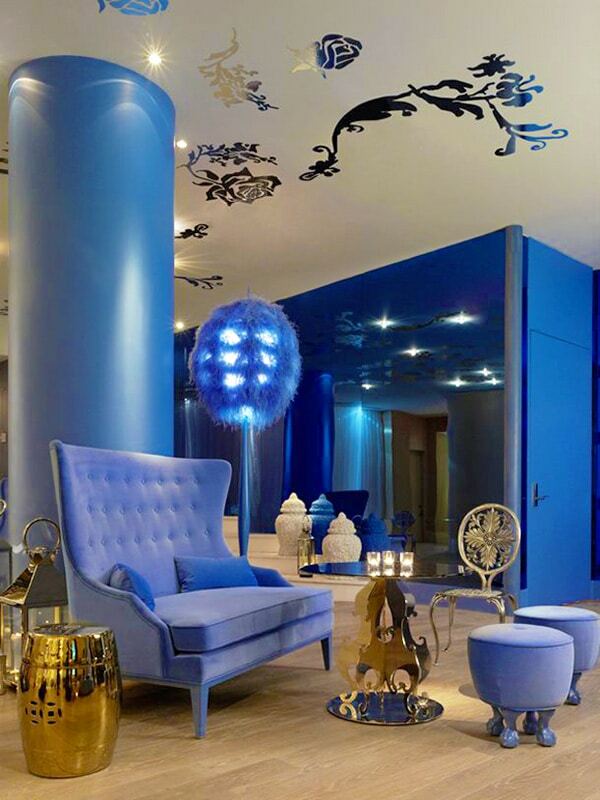 Blue Interiors – What more can I say about blue this week? I’ll spare you the Miranda Priestly quote this time. (Been there. Done that.) One of this coming year’s hottest color trends for adorning that abode is full of bodacious blues, astonishing aquas, totally rad teals, and cowabunga cobalt blues! These vivacious colors will have you hanging ten faster than you can say, “Surf’s up, dudette!” What I really love about decking out the pad in blue is that it just makes the home seem so much cooler (in every sense of the word) and is the perfect substitute for black in that oh, so lively (insert sarcasm here) theme of black and white. 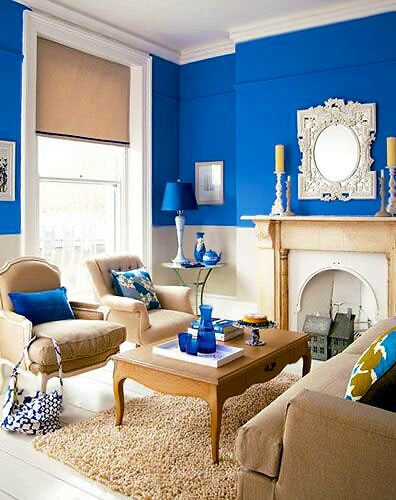 This season, choose a shade of blue that compliments your existing decor and shows your true colors. The modernist with those contemporary pieces of furniture may want to go with a bold statement of cobalt. Old antique dark-stained wood? Try a nice dose of Tiffany Blue to tie in that vintage feel. Designing a nautical-inspired home for Captain Ahab? Navy, all the way, mate. 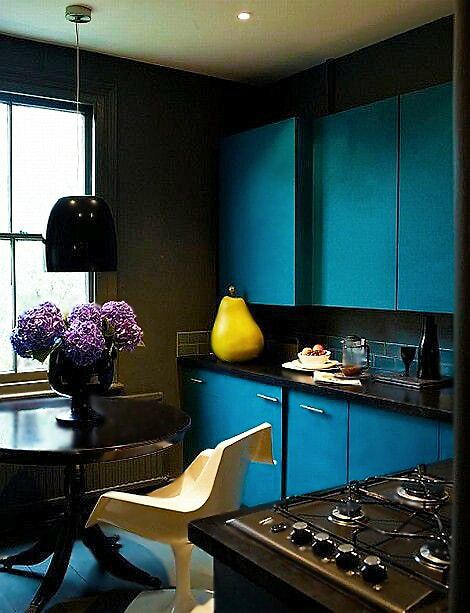 Teal works wonders for those wanting a true contemporary take on their home. Whichever shade you wide up choosing, don’t forget to ride the wave and give ’em your best Blue Steel. Blue Interior Design Trends — Have you been wondering what interior design trends will be hot this fall? You won’t have to wait for long, because three of the biggest trends are already becoming apparent. Read on to learn more! 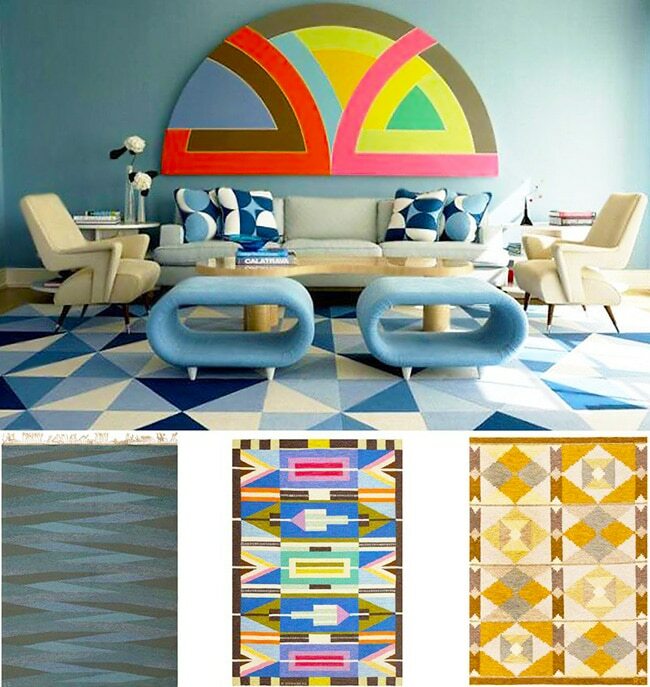 Cobalt Blue Rugs and Interior Design Trends. Top Left: Antique Light Blue Chinese Carpet 47385. Bottom Left: Vintage Scandinavian Swedish Rug 47678. The color cobalt blue has been popping up in fashionable homes everywhere lately. Magazines, designers, and blogs are abuzz about it. Celebrities are making appearances wearing cobalt blue, and the color appeared in multiple fall fashion collections. 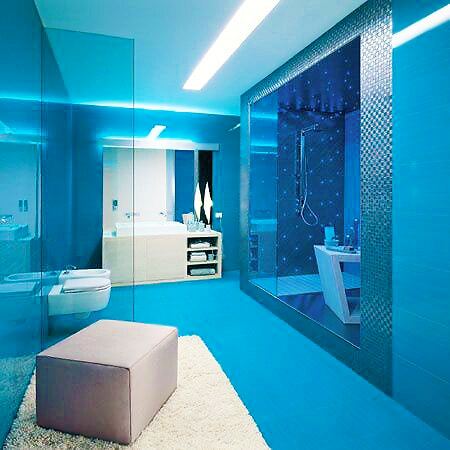 Popular interior designers such as Claire Brody have declared that “Vibrant blue is back”. All of this means that cobalt blue as a pop of color is definitely a trend that will stick around for fall. So what makes cobalt blue the hottest flavor of the season? Somewhere between bright blue and navy blue, it is a vibrant yet subdued color. It goes perfectly with white, silver, grey, black, brown and beige. This makes it a great accent color. Antique Rugs with Modern Furniture. Top Right: Antique Caucasian Tribal Rug 48239. Bottom Right: Antique Persian Heriz Serapi Persian Rug 44632. The eclectic look is increasing in popularity and you will see a lot of it this fall, especially in interior design and decoration. One trend you will not be able to miss is the pairing of antique rugs with modern, industrial furniture. Representing two different eras, the old and the new, they perfectly complement each other to create a sophisticated yet warm look. While modern, industrial furniture perfectly combines simple aesthetics with functionality, it is often viewed as lacking in warmth. That’s where antique rugs come in. With their colorful and intricately woven patterns and motifs, which often tells stories of faraway lands from days gone by, antique rugs add an air of warmth and history. They also add class and elegance to the décor. Look for antique Persian, Turkish and Caucasian rugs paired with both high-design mid-century vintage furniture and contemporary industrial designs. Geometric Blue Home Interior Design. 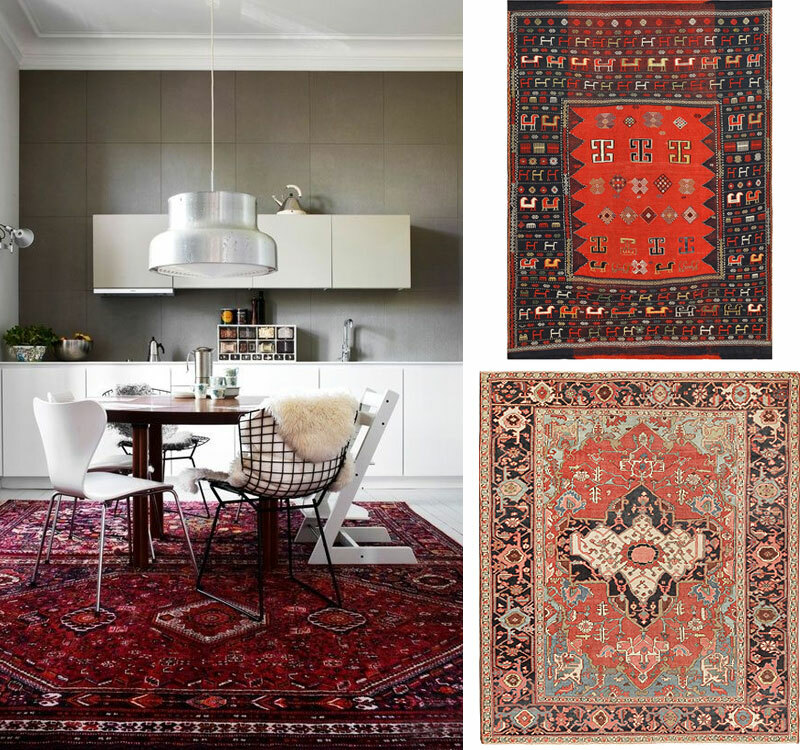 Left: Vintage Swedish Rug by Elsa Gullberg 46162. Center: Vintage Swedish Kilim by A. Osterberg 48512. Right: Vintage Swedish Carpet by Rakel Callander 48453. Are you a fan of geometric prints? If you are, then you are in luck because mod geometric prints are going to be everywhere this fall. Even if you aren’t a fan yet, you will become one because they are stylish, clean, and add dimension to your decoration. While floral prints have made a big comeback this summer, this autumn, get ready to see them replaced by colorblocked geometrics and tessellations. Mod geometric prints are great for everything from rugs, cushions and upholstery, to furniture and walls. What Fall Trends are you looking forward to? Tell us in the comments! 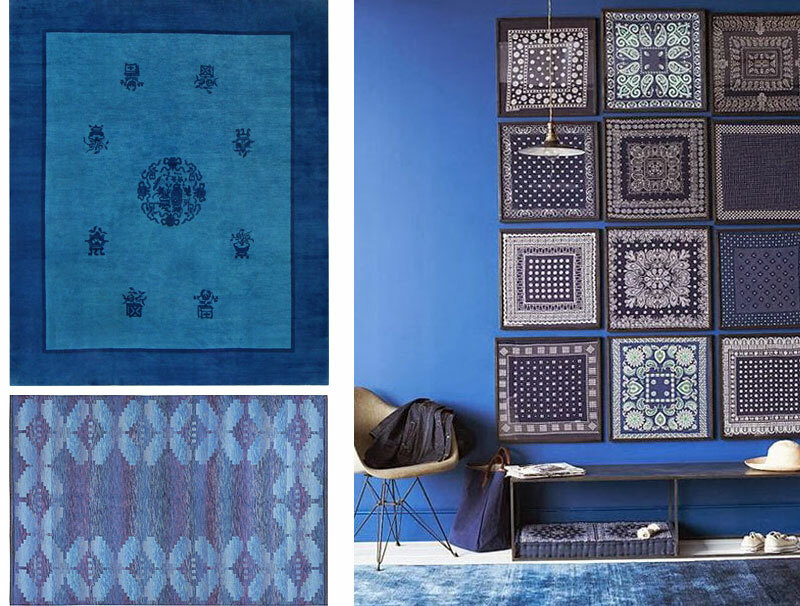 This interior design blog post about blue interiors and design trends was published by Nazmiyal antique rugs Located in the heart of Mahattan, New York City, NYC. These blue home decor looks awesome. Love the pictures you have posted.